This Halloween - Monday, October 31st from 10:00am SLT until 3:00pm SLT - you are most cordially invited to join us inworld for the 2016 Second Life Creepy Crawl! Those who joined us for last year’s crawl know what it’s all about – but we’ve added a few twists this year, so everyone should read on for the details. The Second Life Creepy Crawl is a bit like a good old fashioned pub crawl, but no cab fare or designated driver is needed as we roam from spooky spot to spooky spot for music, dancing, and celebrating in our finest of Halloween costumes! Costumes are strongly encouraged for this event - so come out and show off your best and you could win big! This year, at EVERY stop on our crawl, we will be giving away L$5,000 to one lucky winner whose costume catches our eye. That’s 10 stops, 10 winners, and a total of L$50,000 in prizes! Just keep in mind that this event is for General and Moderate audiences when perfecting your look. 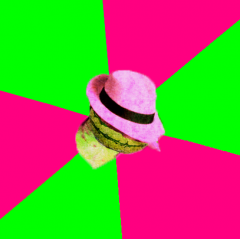 For full contest rules please visit the wiki. If you still need a costume or three - check out the Shop 'til You Drop event for your one stop Halloween party shopping. Boudoir has graciously offered an exclusive treat that you can grab from one of the gift vendors at each stop – one gift per Resident. Don't get caught dead without a costume for those Halloween parties! 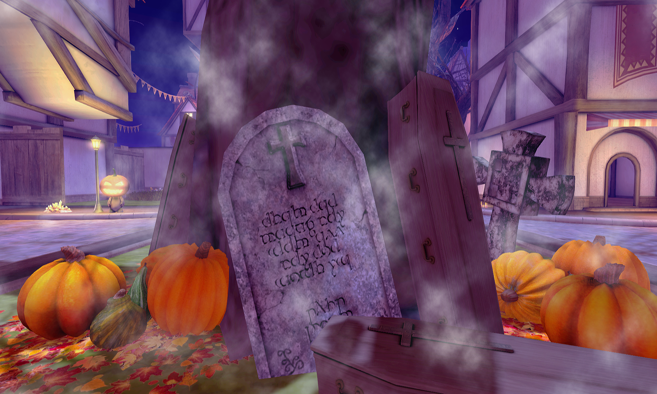 Liven up the party with spooky steals and deals from Second Life Merchants at the first Shop 'til You Drop! This event runs from Oct 21 - Oct 31st, so hurry before these deals are dead! This cavernous fashion boutique, with its luxurious purple and black decor, mainly specializes stylish clothing, hair, skin and shoes. 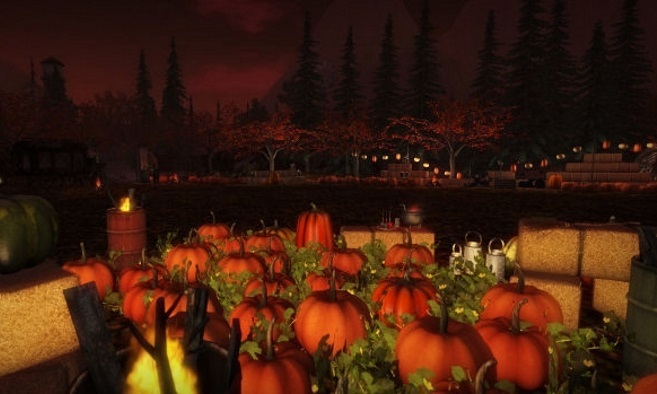 Pumpkin Town is back! 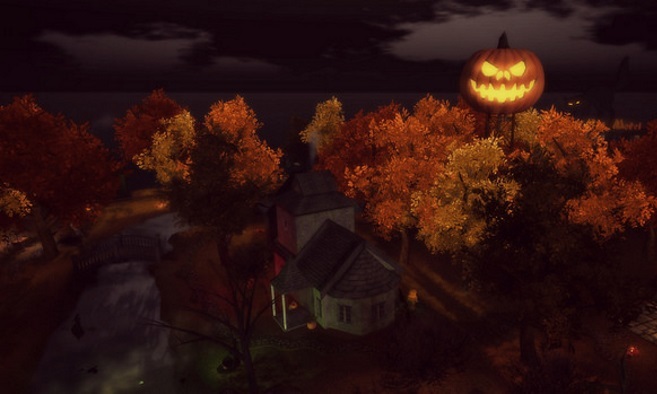 One of the most famous Halloween towns in Second Life, Pumpkin Town is where you can experience deejay sets, live performances, shows, horror movies, freebies, a hunt and more. 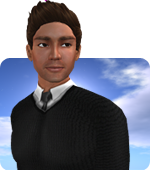 More info at pumpkin-town.blogspot.be. Event held October 1st to October 31. Among the treacherous trees, the moldering mist, the rattling ruins and the wretched wailing winds, there are creepy corners and secluded shadows waiting for those who dare to venture into the darkness. Sable black, sable black, windy and weird, All Hallows at Moochie is a place to be feared. Bay City's fairgrounds have gone spooky, with a hay bale maze full of creeps. Can you make it through -- or will you be dinner for the ghouls and creeps? 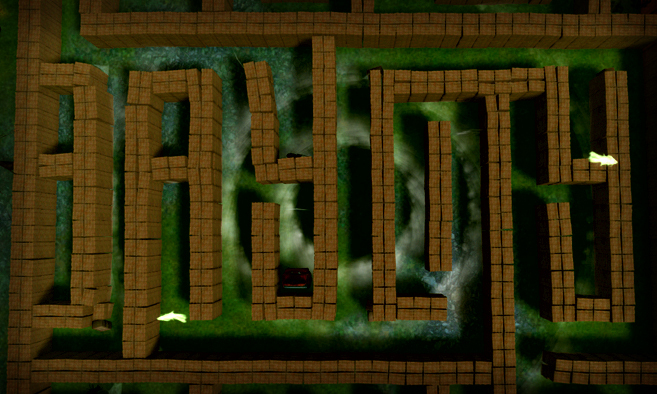 Come try your luck in Bay City's Halloween Hay Maze! It's a-MAZE-ing fun for all! Enter the world of the dark angels, if you dare! Hidden in a dark corner of cyberspace is a secret club where vampires and other nocturnal creatures party the nights away. 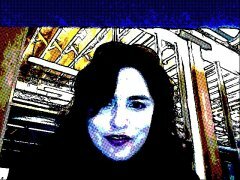 Join live DJ's as they play various music from old-school goth to the latest cyber goth genres. Welcome to Club End of Days. 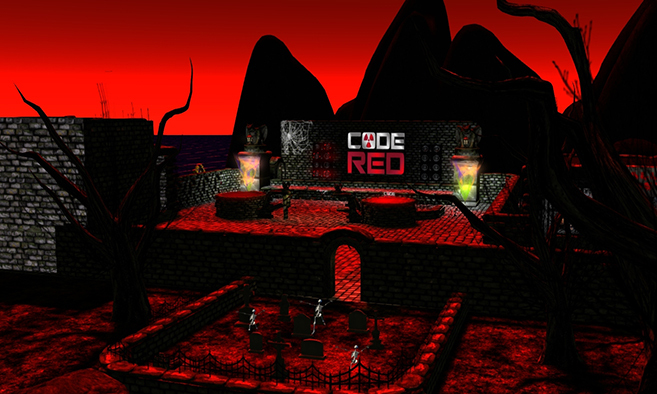 Transylvania is Second Life's first gothic and vampire lifestyle community. With nightly DJs, art exhibits, discussions, shopping, and residences, it continues to thrive as Second Life's oldest community for those with a penchant for the dark. Listen and dance to house music and lose yourself to the groove. 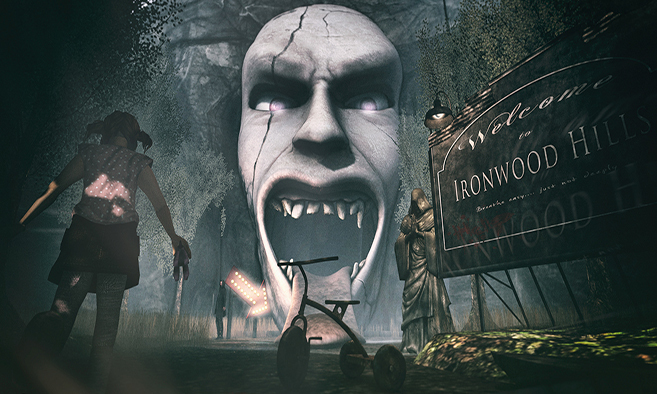 Ironwood Hills is a post-apocalypse sim ravaged by time and nature. As sirens wail in the distance, derelict buildings give up ghosts of their past. You'll find an abandoned amusement park under a plume of stale popcorn. The threat of dangers and other darker things lurking around every bend in the path toward the corpse-filled caves. An eerily beautiful landscape that tries hard to hide its secrets. Check out this Halloween holiday-themed sim, which features a haunted house, creepy graveyard and twists and surprises around every corner. There are also shops with super fancy dress up costumes, too. Explore the large club with live deejays around the clock to entertain you in a ghoulish fashion.